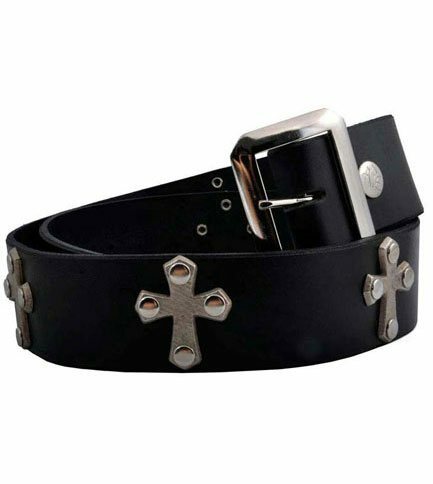 Real leather belt with angled crosses fastened by rivets and removable a snap buckle. 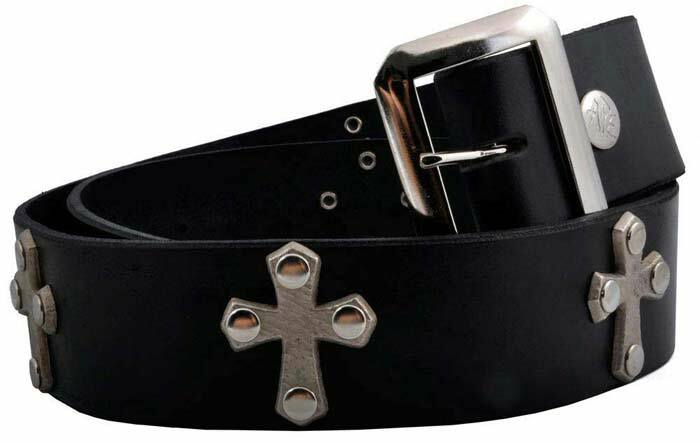 The removable buckle will fit any single pole buckle that accepts a 1 3/4 inch wide belt. Made in the US.